Bulgarian Church at St. Kliment Ohridski Station – W.A.P. St. Kliment Ohridski Base is a Bulgarian Antarctic scientific Base on Livingston Island in the South Shetlands Islands group. 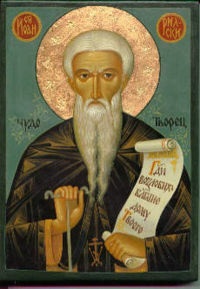 The base, originally known as Sofia University Refuge, was named in 1993 after Cement of Ohrid, a prominent scholar and first Bulgarian bishop, whose work was commissioned and sponsored by Tsar Boris Ist of Bulgaria. An expansion program at St. Kliment Ohridski including the erection of a new multi-purpose building was carried out between and subsequently. Just to complete the description of the Churches in Antarctica , it is great to know that on this Bulgarian Base there is one of the first churches ever built in Antarctica, and this gives honour to the Bulgarians for having no only thought about scientific matters, but to something more important ….. that’s Lord! The St. John of Rila Chapel at Bulgarian St. Kliment Ohridski Base is an Eastern Orthodox chapel located further South. The St. Ivan Rilski Chapel built in 2003 is the first Eastern Orthodox edifice in Antarctica and the southernmost Eastern Orthodox building of worship in the world.